Black River Falls, Wisconsin has 1 casinos in which you'll find more than 630 slots and gaming machines. There are a total of 10 table games. 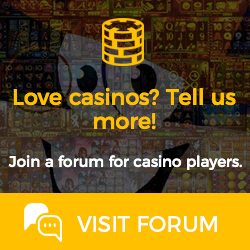 Click a casino on the left for more information on a particular property. You will find the following games in Black River Falls casinos: Blackjack, Slot machines, Bingo, Ultimate Texas Hold'em, Electronic Bingo. The largest casino in Black River Falls, Wisconsin according to gaming machines and table games put together, is Ho-Chunk Gaming Black River Falls. The Ho-Chunk Gaming Black River Falls total casino square footage is 38,000 square feet. It has 630 gaming machines and 10 tables games. You will also find 2 restaurants. You can contact the Ho-Chunk Gaming Black River Falls at or toll-free at (800) 657-4621. The Ho-Chunk Gaming Black River Falls is located at W9010 WI-54, Black River Falls, WI 54615, USA. Visit the Ho-Chunk Gaming Black River Falls information page for more details on this casino, or click here to make hotel reservations. Ho-Chunk Gaming Black River Falls has a total of 120 hotel rooms available. There are currently no news regarding Black River Falls.